These mesh heads provide realistic response at extremely low volume levels. 13"
These mesh heads provide realistic response at extremely low volume levels. 12"
These mesh heads provide realistic response at extremely low volume levels. 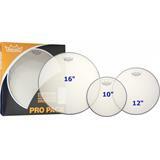 16"
These mesh heads provide realistic response at extremely low volume levels. 22" Bass Drum Head. These mesh heads provide realistic response at extremely low volume levels. 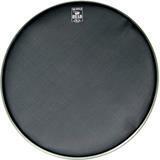 14"
These mesh heads provide realistic response at extremely low volume levels. 8"
These mesh heads provide realistic response at extremely low volume levels. 10"